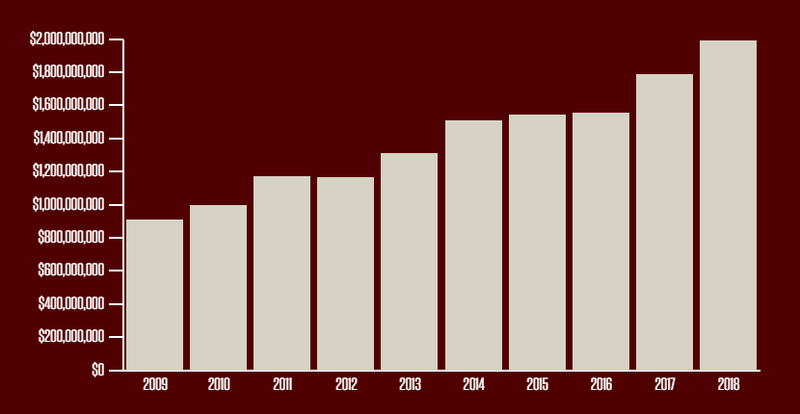 Donors gave over $237.5 million to the Texas A&M Foundation and Texas A&M University during the fiscal year ending June 30, 2018. Following generally accepted accounting principles, the totals include pledges and irrevocable planned gifts. For every dollar raised during the past five years, the Foundation has spent an average of 12.2 cents.